While there truly is no right or wrong answer to this question, there is an easy answer to that question in partnering with an agency like Acadia Pro, who has relationships with several trusted carrier partners, and speak to a professional about your specific needs and practice areas. If you feel you’re paying too much in professional liability insurance, that’s probably your biggest indicator in that it’s time to shop around. Now, there’s no guarantee that you’ll be able to find something cheaper, but if your wallet is paying more than you can stand then it’s probably worth speaking to a professional about. That professional will help give you an overview of the market, including rates and policy forms, on an annual basis. Professionals can prepare this overview by looking at filed rates and sharing those with the client. You should not only share pricing but also each company’s benefits, such as financial ratings, company histories, and policy forms. Although these rates do not represent what the insurance company will charge you, it gives you a good estimate of where the market stands, a good overview of each company, and reasons for why you should consider them. You should also spend time familiarizing yourself with the subject matter and conduct a thorough marketing review every 2–5 years depending on several factors, including your current pricing, specialty, policy features, and personal preferences. During a thorough marketing review, you should complete a new application and obtain other required items to submit to underwriting for a firm quotation. Once that is complete, the quotes should be assembled and shared with you in a non-biased fashion. Professional agencies work for you, not insurance companies. 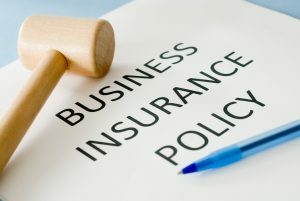 Every agency or insurance professional should be able to thoroughly explain policy features, company histories, financial ratings, and many other factors. For more information about shopping for professional liability insurance, contact Acadia Pro today!